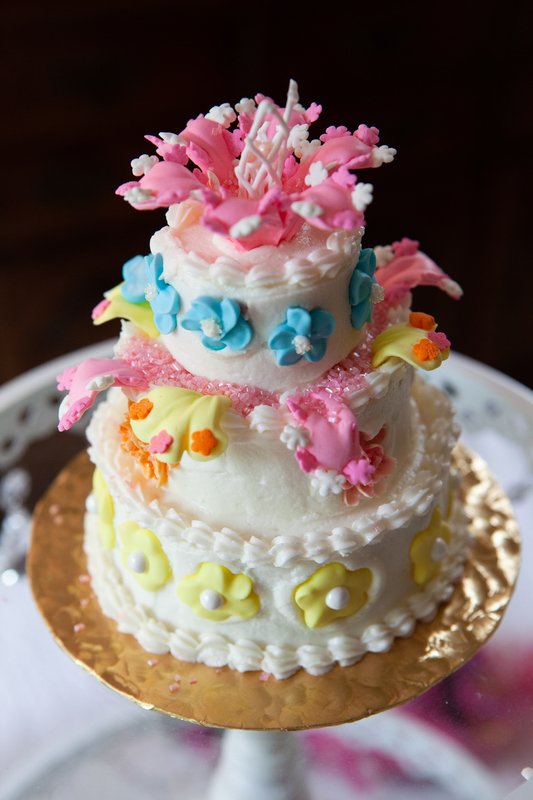 She turned 10 and had fun putting the royal icing fantasy flowers on her little cake at her party. She even broke some petals from the flowers and used them so creatively. I love her style!